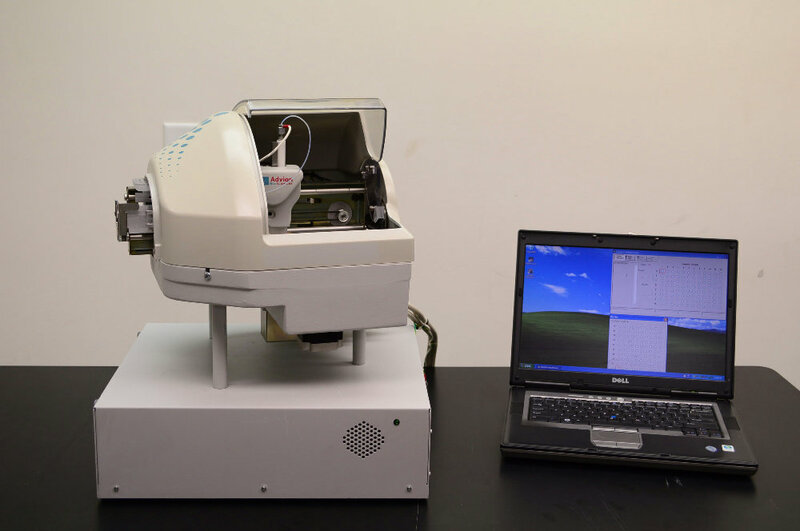 Advion Biosciences TriVersa Nanomate 100 Nanoscource & Controller + Software . New Life Scientific, Inc. This instrument appears to be in working condition, was well taken care of, and is clean. It has been tested and is in working condition. The critical friction points were lubricated and the system initials and homes all the motors, and 3 lights on the "head" unit light up green. We were in contact with Advion tech support and they gave us the software for the units that most closely approximated this unit's serial number. We installed the SoftChip 8.1 software on a laptop that will not be included (instead we will include the software on a USB thumb drive). When a test is run with the software, the Nanomate fully initializes (several motor re-home etc) and then we are able to log in as an administrator. Once logged in, we were able to calibrate the positions and control the instrument through the software. Please see the pictures for more details. **Please note that the laptop computer in the pictures will NOT be included. Excellent working condition - software is included.